Are Arsenal in the driver’s seat to finish in the top four? Third placed Chelsea host seventh placed Manchester United in the Barclays Premier League on Sunday, in what promises to be a mouth-watering clash. The Blues come into the match not having conceded a goal in 2014 and scoring seven goals without a response in their last three. Manchester United travel to Stamford Bridge in delicate state; a 2-0 win against Swansea last weekend stemming a flow of three consecutive 2-1 defeats in all competitions. In what could be an important game for David Moyes and his revised target of finishing in the top four this season, Chelsea look to be coming out all guns blazing as Jose Mourinho appears to have found the right balance to his side, as the former Real Madrid boss chases his third Premier League crown of a fantastic career so far. Chelsea are unbeaten in their last six matches, conceding just once and scoring ten times. Mourinho has also managed to preserve his record of being unbeaten at Stamford Bridge yet. So, it would take a brave man to bet against a result for Chelsea against a weakened United side. This Chelsea side have been superb defensively this season, and they have conceded the least amount of goals in the Premier League this season (19). 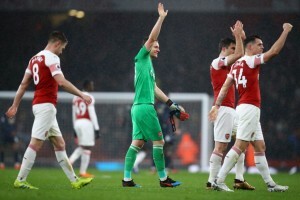 Petr Cech, at 150 league clean sheets, is counting down the 19 clean sheets that will see him equal the record for most clean sheets in the Premier League, held by David James. He will be helped out in defence by the formidable back four of Cesar Azpilicueta, Ashley Cole, Gary Cahill and captain John Terry. But the man key for Chelsea will be the talented Brazilian David Luiz, sitting just in front of the defence in a role he was all too familiar with under former boss Rafa Benitez. 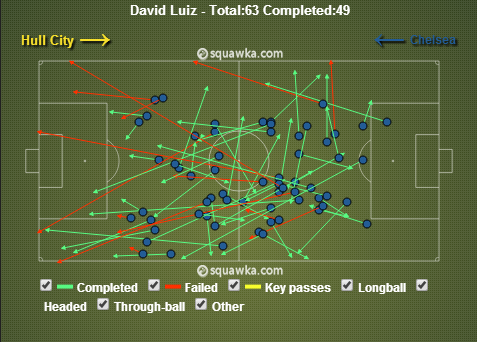 David Luiz has played two consecutive games in midfield now and has performed admirably. Up front Chelsea have looked light on quality from their strike force. Fernando Torres, Samuel Etoai??i? ?o and Demba Ba have all failed to fire, but their lack of goals has been made up for by the red-hot Eden Hazard. The Belgian has taken the goal-scoring mantle at the club and has led to Mourinho openly wondering if he will be awarded the Player of the Month award for January on the back of some scintillating performances. Hazard could do with some help from the strikers though as Fernando Torres would look to offer more than he has so far up front. Branislav Ivanovic is injured his knee and is not match fit for the game, so Ashley Cole will continue at left back, with Azpilicueta taking the right back role. Frank Lampard also looks set to miss the game with a muscle strain. Chelsea have also completed the signing of Nemanja Matic from Benfica, but the midfielder is set to start on the bench for this game. David Moyes brings a troubled United team to Stamford Bridge, in what has been a testing campaign for the Scot so far. A 2-0 win over Swansea eased a little pressure on the former Everton boss, and a result at Stamford Bridge would go a long way in restoring confidence of the fans in their under-fire manager. A win at Chelsea would also kick start Unitedai??i? ?s faltering campaign, where it looks like a top four finish would be considered a respectable finish now. Moyes will however be without a host of players for the game on Sunday, with Robin van Persie, Wayne Rooney, Patrice Evra, Marouane Fellaini, Ashley Young and Nani set to miss out on the trip. Making matters worse, defenders Rio Ferdinand, Jonny Evans and Phil Jones will need late fitness tests before the match, so it looks like Chris Smalling may continue in central defence along with captain Nemanja Vidic. 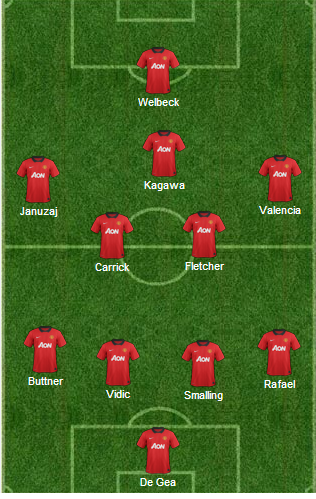 Alex Buttner could get a start at left back. It doesnai??i? ?t look good for a United team languishing in seventh position, eleven points off leaders Arsenal. Their hopes lie on England striker Danny Welbeck who has scored eight goals in the Premier League this season. Welbeck is likely to start up front in place of Javier Hernandez, who has an excellent goal-scoring record against Chelsea, scoring in six of his last nine appearances against them. However, United have failed to score against Chelsea in their last three meetings and things do not look to improve too much in the absence of Rooney and Van Persie. David Moyes will look to play Adnan Januzaj on the left, who has been one of the brighter prospects for United this season as a disappointing Shinji Kagawa looks to get an outing in his preferred number ten role. Darren Fletcher, who came back to first team football following an anguish-filled period of absence from the United first team will look set to start again with Michael Carrick, one of the best United players from Sir Alex Fergusonai??i? ?s last season in charge at the club. 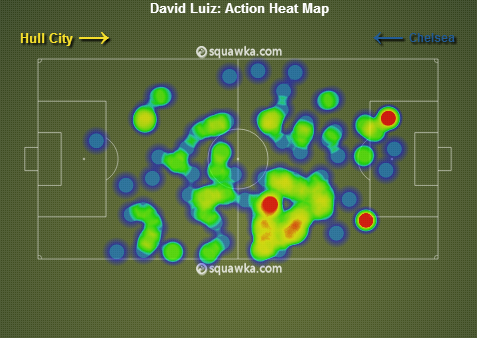 The Brazilian has been influential for Chelsea in their last two games in midfield, and against Hull City, he recorded impressive figures of 54 completed passes, 16 clearances, 8 ball recoveries and 4 interceptions, winning 10 out of 13 aerial duels. He also has excellent dead ball skills and is a threat from corners and set pieces. 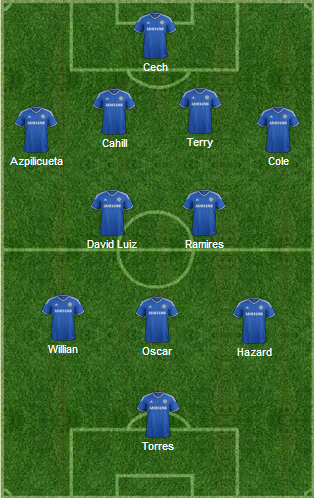 If David Luiz, from midfield can help break up attacks and neutralize the likes of Kagawa and Januzaj, Chelseaai??i? ?s half the battle is already won.